Chabad is always there for every Jewish person regardless of his/her affiliation or level of observance. Whether someone is home bound or hospitalized, Chabad is there for them to bring smiles to their faces and to offer them friendship and love at a time it is needed. If you know of anyone in need of one of the services we offer, please don't hesitate to contact us so we can help. On a weekly basis or upon request, Rabbi Zalman Charytan and volunteers visit Jewish patients at the local hospitals , whether affiliated or not, to cheer them up, recite a prayer.. Rabbi Zalman Charytan will visit prisons to spend time with the Jewish inmates in Torah discussion group, putting on Tefillin and holding a prayer service. Before and during holidays we have special services and programs.  On a weekly basis or upon request, Rabbi and Mrs. Charytan and volunteers visit people who are homebound or in retirement homes in the North-West Metro area of Atlanta, to bring joy and good memories from days gone by. King Solomon said, "There is a time for all under the heavens - a time to love, a time to journey, a time to plant, a time to reap, a time to rejoice and a time to mourn." The Rabbi and staff are always there, especially in times of need, to offer comfort, guidance and bereavement support. At a difficult time, a chat with the Rabbi or his wife may well help a person see things in a clearer perspective.